Cut-in (close the contacts) on rising air or water pressure. Designed to ground ignition on gas driven pumps and compressors when desired maximum pressure is reached. Can also act as low pressure alarm or to prevent pump operation at low pressure. Reset lever optional. Wired in series with a conventional Hubbell pressure switch. 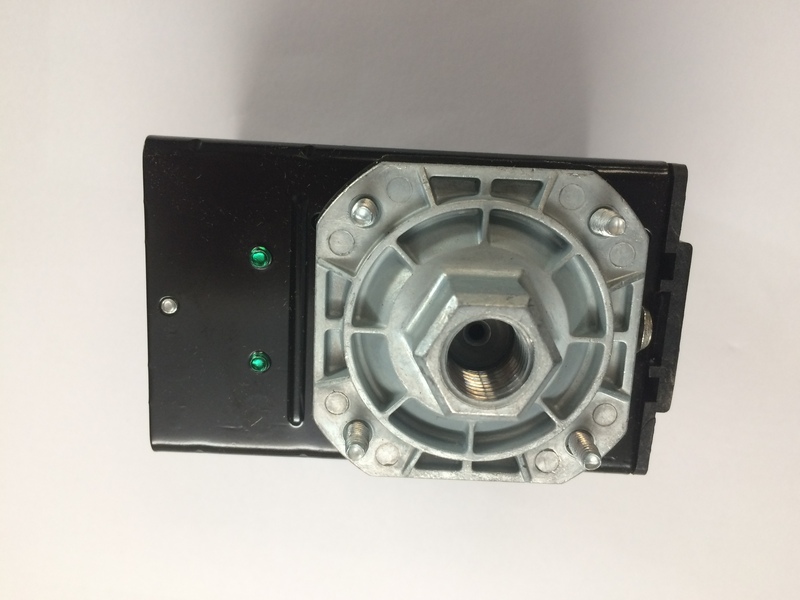 When failure of the water or air supply causes system pressure to fall considerably below the cut-in point of the regular pressure switch, the GARD-IT will disconnect the pump motor. When the water or air supply returns, the system is placed in automatic operation by depressing the manual reset lever until system pressure exceeds the GARD-IT cut off level. Wired in series with any system pressure, this special pressure switch is designed to cut-out (open the contacts) when a preset pressure is reached. Must be manually reset. HI-GARD pressure switch is used when it is desirable to limit the maximum pressure in a system.  Corrosion resistant non-metallic cover.  UL listed file #14861.  CSA certified file #LR36854.